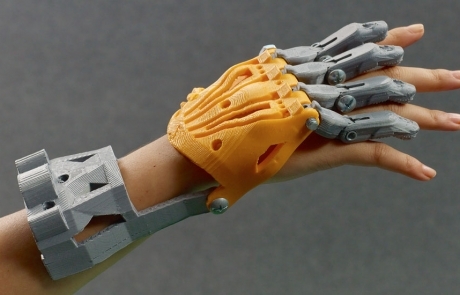 3D Printing has become an essential tool for all engineers, product designers and entrepreneurs. We at Rapid 3D Technologies, 3D Printing team are simply trying to demonstrate, revolutionize, and inspire 3D printing services in Coimbatore. We hope that you, the professional designer, begin to use our service in every aspect of the design stage. We’ll endeavor to keep up to date with the latest materials and 3D Printing technologies just as long as you keep sending us your .stl files to bring your fascinating products to market with our excellent service. Not only will you bring your product to market quicker than your competition, we’d like to think that your business can see the benefit of using our professional 3D printing services to cut costs, increase production, and save time and money in every phase of the development cycle. 3D Printing is becoming the phrase on everyone’s lips these days. We have industrial grade 3D printers to fulfill all your prototype needsand we use high quality plastic where you require strength and functionality for your jigs and fixtures and small batch productions. In conclusion, it’s safe to say that by using our 3D printing service you can improve communication amongst engineers, the sales team and their customers by creating an aesthetic and functional 3D printed part helping you the user get their product to market faster than the competition.